Alcan Dragon Boat festival… this is an all ages concert and it’s FREE! A big stage right on the Sea Wall in the heart of Vancouver! There will be lots of great band’s all weekend! Los Duendes is Vancouver’s very own Psych Latin Fusion group! Infectious tropical rhythms intertwined with spicy Latin melodies designed to make people feel uplifted and groove. The term “Psych Cumbia” has found its place in Latin America as a way of referring to various different styles of tropical Latin American music. 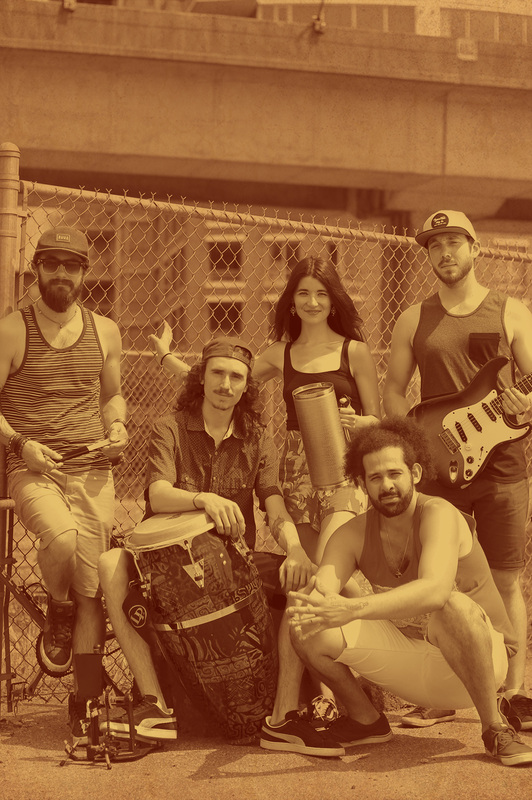 Los Duendes performs topicalized Andean guitar, Jazz, Cumbia, Salsa and Soulful House giving birth to a whole new danceable musical universe. Tener Duende loosely means having soul, a heightened state of emotion, expression and authenticity. The artistic and especially musical term was derived from the duende, an elf or goblin-like magical creature in Spanish mythology. El duende is the spirit of evocation. It comes from inside as a physical/emotional response to art. ‘The duende is not in the throat; the duende climbs up inside you, from the soles of the feet.’ It is what gives you chills, makes you smile or cry as a bodily reaction to an artistic performance that is particularly expressive.